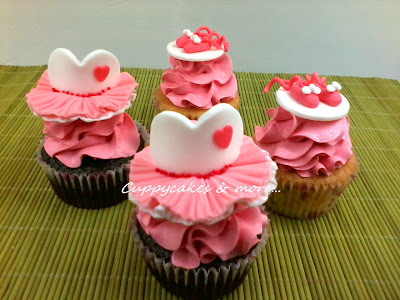 Remember my friend Globelle? 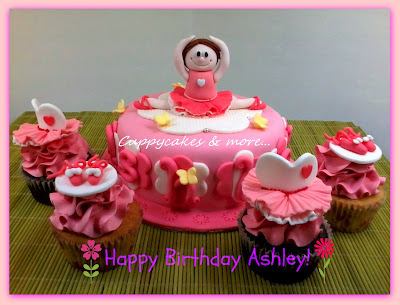 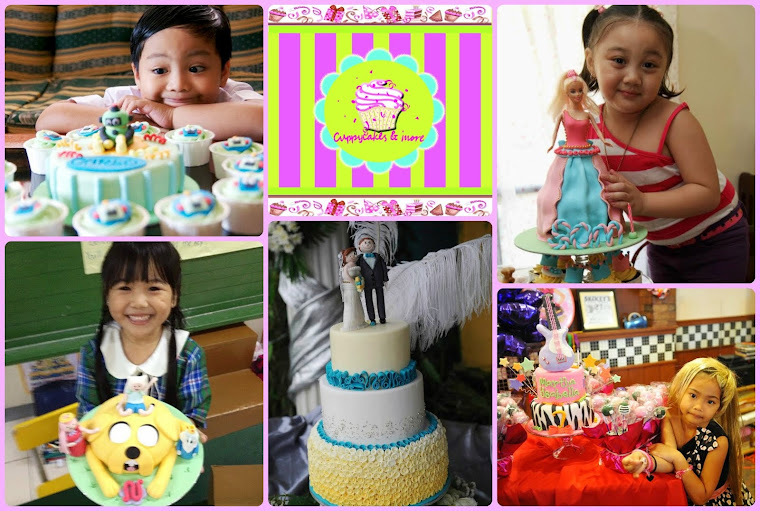 She planned to surprise her daughter Ashley, who is so into ballet, with a ballerina themed party. 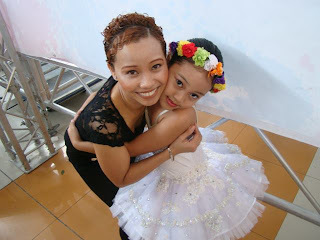 She has performed onstage with Prima Ballerina Lisa Macuja-Elizalde already. She wanted a ballet shoes topper and I was thinking of a tutu dress. Who's is the customer here?! I decided to make both. 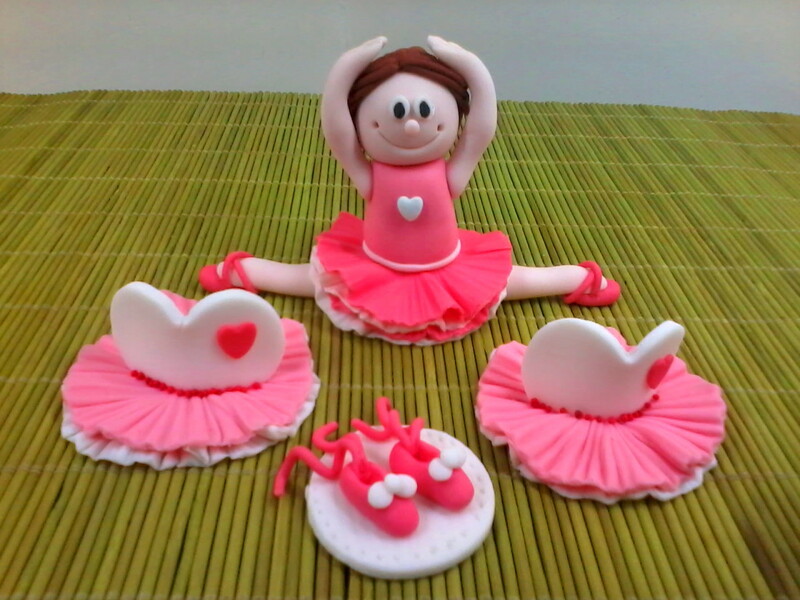 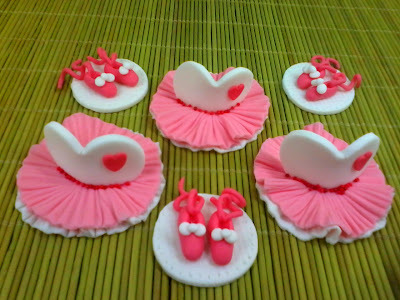 A ballerina figure for the cake. 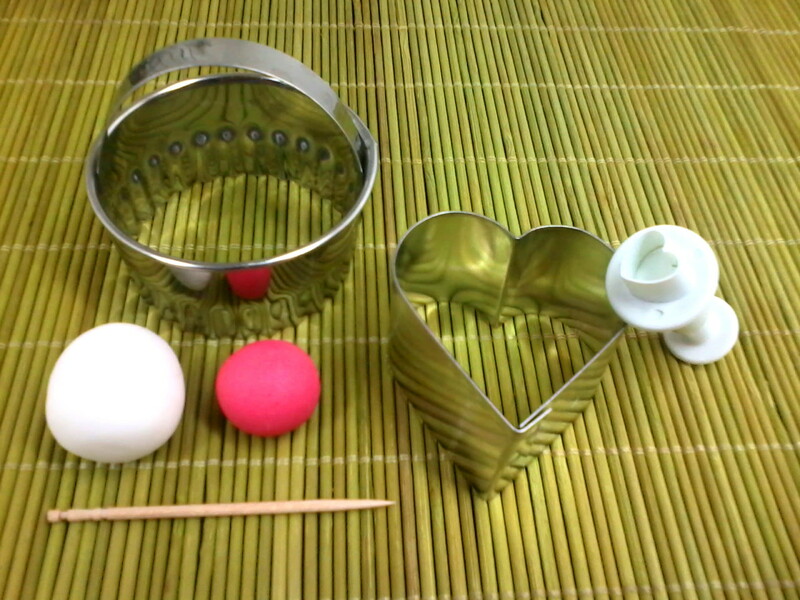 Now they are ready to go on top of your prepared cake and cuppies.